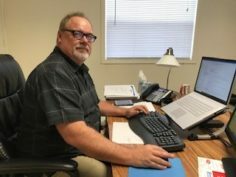 Pulido Transport is excited to welcome Charles G. Maloy Jr. as the new Safety & Compliance Director. He will manage all aspects of safety, compliance, recruiting and training for the Houston and Beaumont terminals. Charlie’s experience and knowledge of the transportation industry will add tremendous value to Pulido Transport as we continue to build our already strong safety culture. Pulido Transport, established in 1995, is a bulk liquid transporter of lubricants and general chemicals with terminals in Houston and Beaumont. Our clients include top tier oil & gas and chemical companies for whom we transport across the 48 states. Our safety record combined with flexible transportation solutions is how we best add value to our clients. Visit pulidotransport.com for additional information.